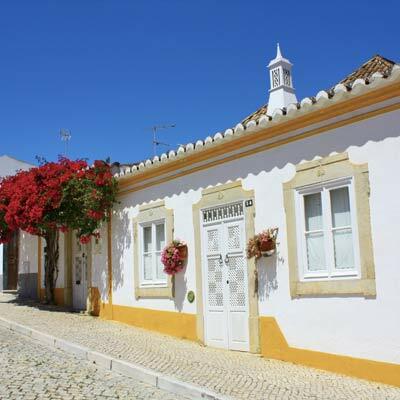 Tavira is a delightful Portuguese town, that is situated close to a coastline of beautiful beaches. 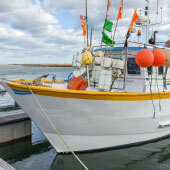 Tavira and the eastern Algarve makes for a calm and relaxed holiday destination, but the region still offers a wide variety of enjoyable activities and interesting day trips. 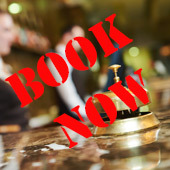 This guide will detail the best of these sights and activities, and is divided into two sections; the first section will highlight the most popular activities for a holiday to Tavira, while the second section will list the major monuments and historical buildings within the town. 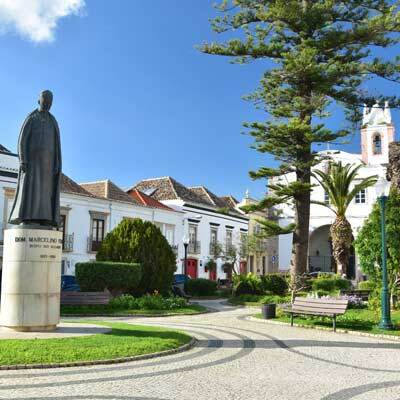 Tavira has a charming historic centre, which is a joy to explore, and discover the rich history of the town. 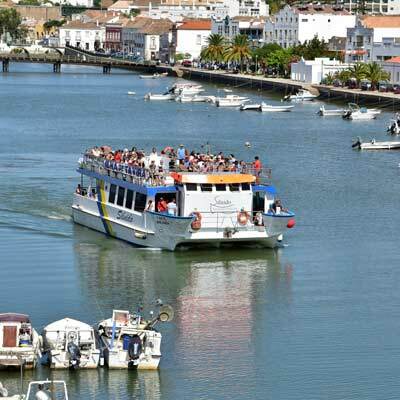 Tavira was originally an important Moorish city (10th century), then a major port (14th century), and was completely rebuilt after the devastating 1755 earthquake. 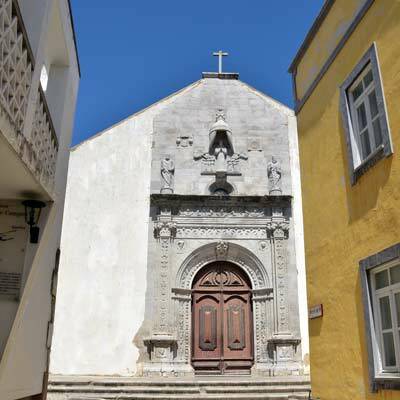 This extensive and varied history is reflected in the diverse selection of historical monuments found throughout Tavira. 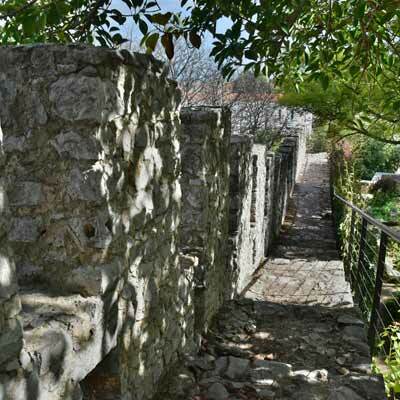 Contained within the old town are over 36 churches, ancient monasteries and the ruins of the Moorish castle. 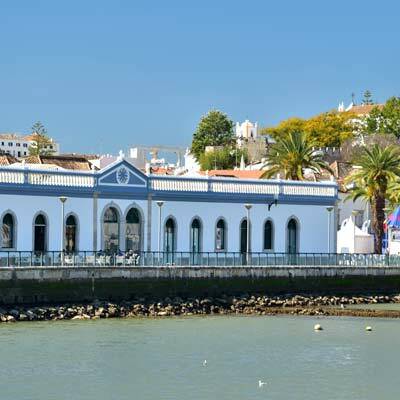 Lining the banks of the Gilão River are grand 18th-century mansions, while the cobbled backstreets and plazas are filled with traditionally tiled house. 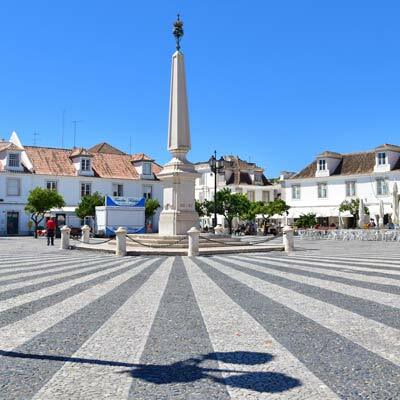 Tavira is a very scenic town and an enjoyable day can be spent wandering and exploring the historic centre. 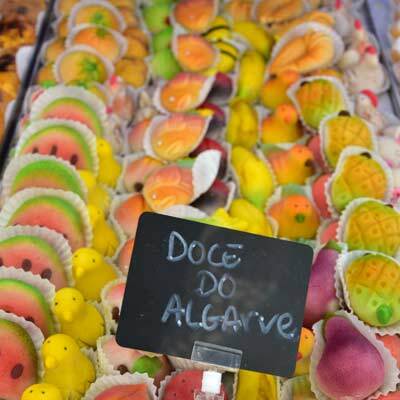 Every morning a lively market is held in the Mercado Municipal, with stalls selling fish, fresh produce and local handicraft. 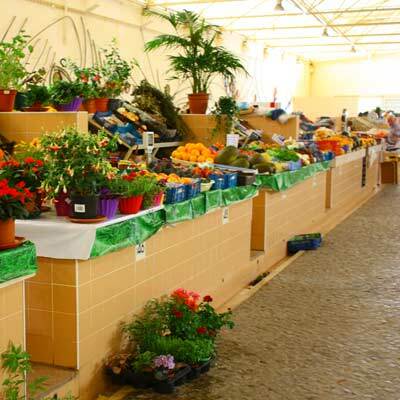 This is a great location to experience typical Portuguese daily life, and also to find a bargain gift. 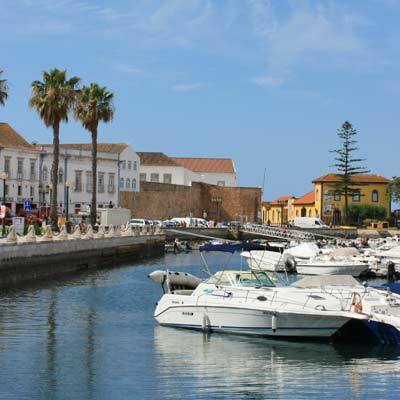 Tavira has a pristine coastline of sandy beaches and turquoise seawaters, which extend along the southern side of the Ilha de Tavira. 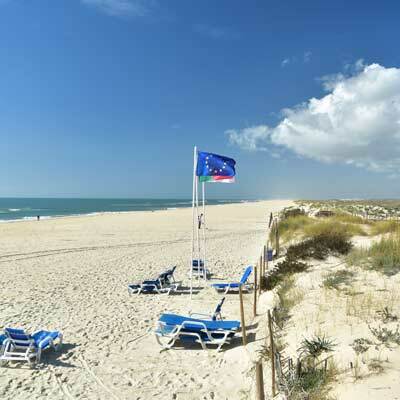 This island has a continuous sandy beach of over 10km, with the most popular beach, the Praia de Tavira, at the eastern end, close to Tavira. To the west are quieter beaches of Praia do Barril and Praia de Terra Estreita. 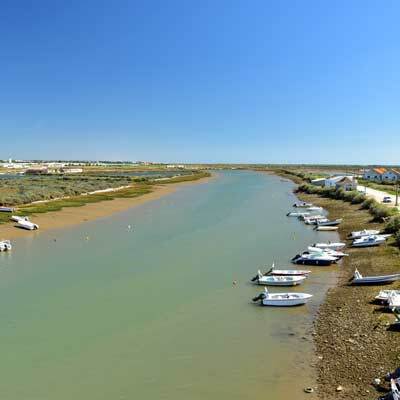 The beaches are separated from the mainland by the waterways of the Parque Natural da Ria Formosa and are crossed by regular ferry services. The Parque Natural da Ria Formosa are the salt lagoons and tidal mudflats, between the sand bar islands and the mainland. These wetlands have extensive wildlife, being an important location for migratory birds, and also protect the fragile marine ecosystems. 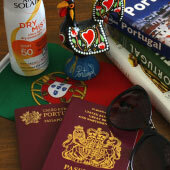 Tavira has a mature and social nightlife scene, which is focused around the evening meal. During the evening, the smell of freshly cook fish fills the historic centre, as tourists and locals alike dine al-fresco, on dishes that are based upon fish caught earlier in the day. 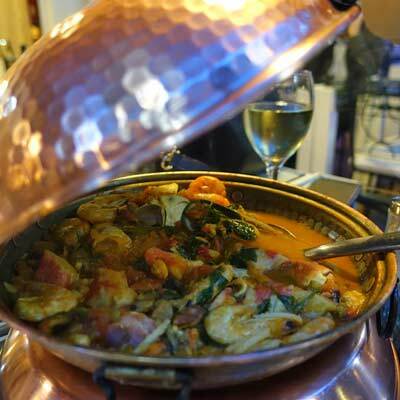 One of the most popular dishes of the Algarve is Cataplana, a hearty rice and seafood stew that is served in a large copper pot and is shared between two. Portugal provides exceptional value when it does to eating out and all meals should be accompanied by a locally produced wine. 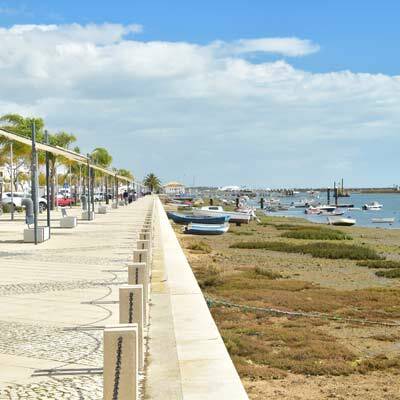 Tavira is connected to the Algarve cycle path, a purpose constructed route that is designed for all abilities. 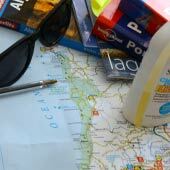 This route heads west to the fishing village of Santa Luzia and further onwards to Praia do Barril beach. In an easterly direction, the cycle path passes through the peaceful resort town of Cabanas. 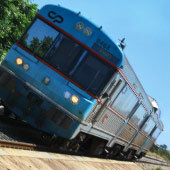 For the more adventurous, the cycle path continues to Monte Gordo and Vila Real, 25km away. As the cycle route follows the coastline there are no major hills to contend with. 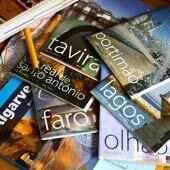 The Praia do Barril is a beautiful beach, that up until the 1960s, was the location of a tuna fishing village. 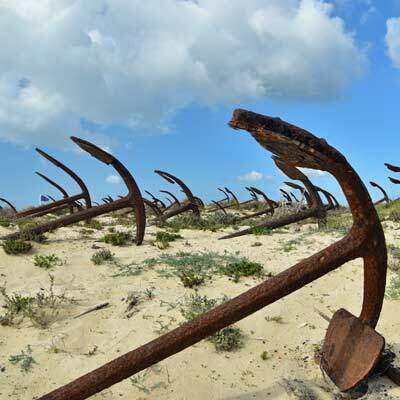 The fishing huts have been converted into beach restaurants and bars, while the numerous anchors used for tuna fishing have been lined in the sandbanks, and are known as the Cemitério das Âncoras (Anchor Cemetery). 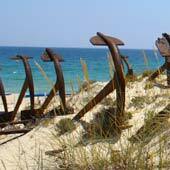 There is an enjoyable 4-hour hiking route which goes from Tavira to Barril beach and passes through the villages of Santa Luzia and Pedras d'El-Rei. 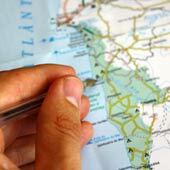 The return route can follow the beach to Praia de Tavira and catch the ferry back to central Tavira. This is a very scenic hiking route and a great way to see the region. There is a modern cinema in the Tavira Gran-Plaza, the large out of town shopping complex and this is a great activity for a wet day. The latest Hollywood blockbusters are not dubbed into Portuguese but will have English audio with Portuguese subtitles. The only exception are children’s movies which will have a Portuguese dialogue. The Castelo de Tavira was constructed by the North African Moors, when Tavira was an important trading city. Today the castle’s courtyard has been transformed into a decorative garden, and the battlements can be climbed, which provide panoramic views over the town. 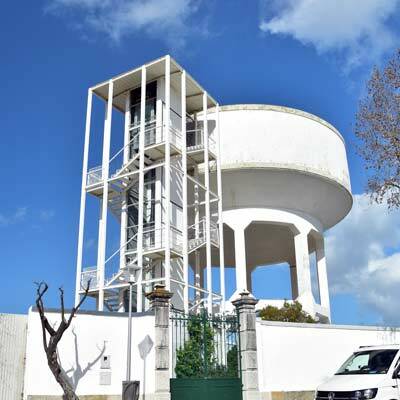 The former water tower of Tavira has been converted into a Camera Obscura – a camera that projects the panoramic view of the city into the darkened interior of the water tower. 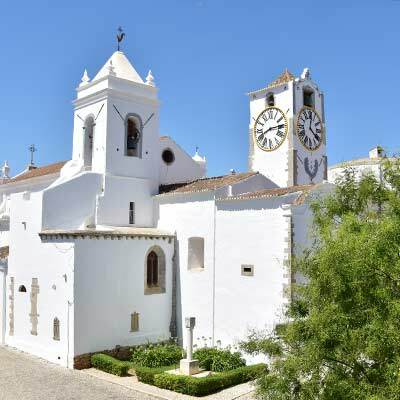 The Igreja da Misericórdia is the finest example of Renaissance architecture in the Algarve. Much of the church was rebuilt after the devasting 1755 earthquake, but the portal and front façade survived intact. Above the doorway are statues of Mary and the saints Paul and Peter. Inside are beautiful azulejos tiles. 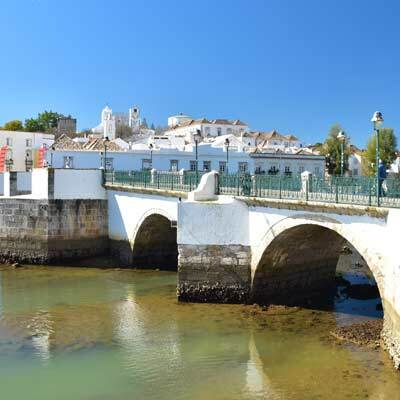 There has been a bridge crossing the Gilão River at this point since the Roman era, but the bridge that you cross today dates from the 17th century. This former market has been converted into a series of restaurants and is an enjoyable place for a relaxing lunch or dinner.